Tonight at 1:18:57 am CEST, Esimit Europa 2 achieved another line honours victory after 37 hours 18 minutes and 57 seconds of demanding sailing in various wind conditions, among the islands of the Adriatic sea in the second leg of the Thousand Islands Race, which started at noon on September 25 from Tivat in Montenegro back to Rijeka in Croatia. In the first leg of the race, which started on September 21 the other way around - from the historic harbor of Rijeka to Porto Montenegro marina in Tivat - with elapsed time of 38 hours, 24 minutes and 8 seconds, it took the fastest European yacht one hour more to finish the same course than in the second leg. This approximately 280 nautical mile long course was set to leave on the starboard side the islands of Unije, Susak, Premuda, Dugi Otok, Kornat, Vis, Lastovo and St. Andrija in the first leg of the race and to return the same way in the second leg of the race, this time leaving the mentioned islands on the port side. The Esimit Sailing Team, led by Jochen Schümann, experienced very light winds and variable wind conditions along the way of both legs: ”Both legs of this race were very, very difficult, but also very scenic. We have not only seen a thousand islands, but also that many different winds. We had a lot of stops and probably also a thousand different manoeuvres to match these changing winds. We are the first to finish the race, but not close to a record - we expected a nice Bora today for that race, and finally we had only two to three hours of Bora conditions and even those very light ones, so I think we will have to come back for a better breeze,” said Schümann after the spectacular night arrival among the city lights, which followed the team on both finishing lines. This was the first participation of the Esmit Europa 2 yacht both in Croatia and in Montenegro. The Thousand Islands Race from Rijeka to Tivat and back, on the course of about 280 nautical miles in each direction, offered weeklong offshore sailing festivities in the picturesque Adriatic Sea for the 20 participating yachts from 14 countries. 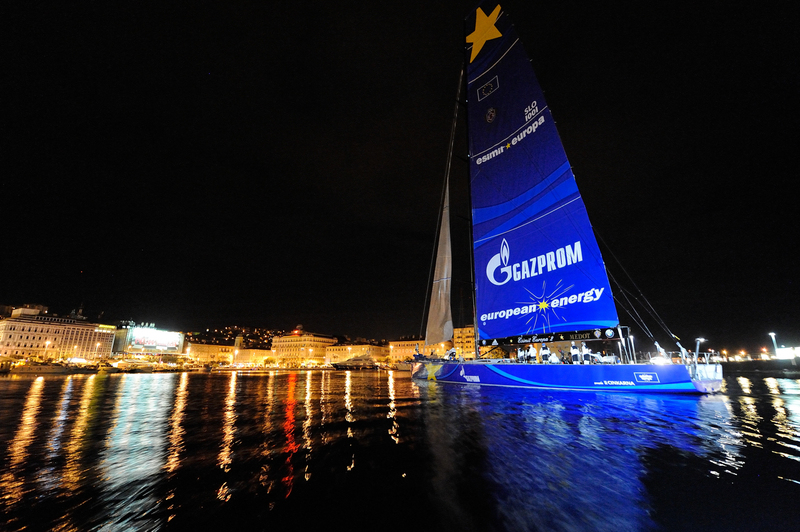 By crossing the finish line first, at both legs of the race, the Esimit Europa 2 remained unbeaten on the water and achieved its 32nd consecutive line honours victory. In this second edition of the Thousand Islands Race, which is organized by the Sailing Club of Rijeka in cooperation with the Porto Montenegro Yacht Club, the participants already doubled, and the organizers expect the race to grow in the following years.